At Bloom Magic, we create lasting memories, both for you and the recipient of the flowers. We select gorgeous fresh-cut blossoms, weave them into opulent arrangements, hand-tie and carefully swath them in an attractive wrap, then deliver them directly to your recipient’s door. 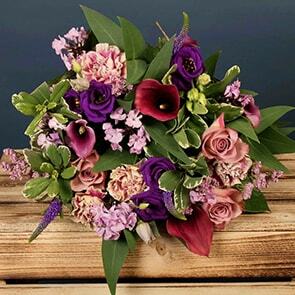 Our next-day flower delivery to Cork allows you to send a wonderfully special gift with ease, so you can relax, knowing that a bouquet sure to warm their heart will arrive soon. Our unique collections have been developed by Cork’s top floral experts, and includes exceptional arrangements you won’t find anywhere other than on the Bloom Magic website. Simply select the perfect bouquet, and then choose from our various customisations, such as a vase or chocolates, to create a gift that’s as special as the person receiving it. We incorporate local blooms whenever possible and use minimal packaging, making sure the blossoms you select are as earth-friendly as they are stunning. It’s this kind of appreciation of detail that ensures every bouquet is special and creates a lasting memory. Bloom Magic have the ideal bouquet for your needs, whether a special occasion is approaching or you simply want to show someone you care. 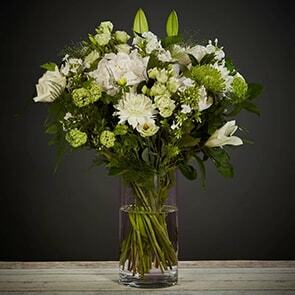 Celebrate happy events with vibrant bouquets by sending birthday flowers to Cork, or send tastefully-refined blooms from our sympathy and get well arrangement selection, to remind the ones you cherish that you're there for them during difficult times. 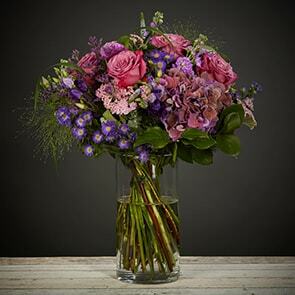 Once you make a selection florists will get started piecing together the perfect hand-tied bouquet straightaway. 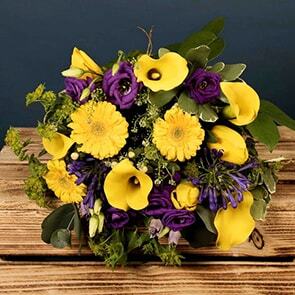 Make someone’s special day even better by sending the happy couple wedding flowers. Perhaps you are not able to make the ceremony but you still want to send your well-wishes. What better way to do it than sending Bloom Magic wedding flowers to Cork? You can personalise your gift with a little note, a beautiful vase or upgrade the bouquet to include up to 50% more flowers. Our next-day flowers for Cork include all our special occasions and collections. If you are sending flowers, just because or for an occasion not specified on our website, have a browse through our remarkable collections. We even have a dedicated gift set collection, which combines our magnificent bouquet of flowers with chocolates and a bottle of prosecco or champagne – ideal if you want to congratulate someone on their accomplishment, wedding or birthday with something more than just flowers. From the moment you order your Cork flowers online until well after the bouquet has been delivered, Bloom Magic is dedicated to providing you with exemplary service. With staff devoted to providing the finest service available via instant message, telephone, and email, it’s easy to pick the right floral arrangement or request help with your order. In addition, we guarantee the superiority and longevity of our blooms, so you can be certain the person you order for will be able to take delight in your thoughtful gift for seven days or more. Get the most of out of our Bloom Magic flowers by following our handy flower care guide which contains flower care tips for both hatbox as well as hand-tied flowers.